← Teacher, Tell Me a Story! I first saw Pine when I was a young violinist, not long after she had her notorious train accident which succeeded in severing her leg — the result of her violin case subway strap getting caught in the door and not the result of her deliberately refusing to let go of her violin according to popular rumor. At the time, the rumor was being circulated as truth by violin teachers that I knew, yet I put it behind me when I went to hear her play, and I was immediately enthralled with her lovely rendition of Bruch’s Scottish Fantasy. Later down the line in my violin-playing career, I would not only learn that what I had heard about Pine were false rumors, but I would also have the opportunity to meet up with her again at a Chinese music festival at Northwestern University. I was performing there with the orchestra with which I was assistant concertmaster, and I was most delighted to not only find out that she was going to play after my orchestra had finished (Wow! I was going to share the stage with her!). Even better, I unexpectedly had the chance to converse with Pine in the backstage while we both were waiting to go out. Most recently, driven by my enthusiasm for Pine as sparked at the Northwestern music festival mentioned above, I attended a concert in March 2009 at Wentz Concert Hall in Naperville. I initially found out about this concert in a local magazine, which stated that Pine would be playing Vivaldi’s The Four Seasons with the Chicago-based Baroque ensemble Ars Antigua. For me, the combination of authentic period instrument performance and The Four Seasons (my all-time favorite piece of classical music and favorite violin piece to play) was irresistible, so I promptly ordered two tickets. Still, since I had the impression that Pine as solely a modern violinist and since my little mind was persistently infected with myth that one could not possibly perform professionally simultaneously on modern and period instruments, I had the impression that Pine was going to play modern violin with period instruments backing her up. An odd combination, I thought, but yet, recalling the myth which I had been so convinced to believe, I strongly believed that this was going to be the case. Imagine my surprise when Pine walked onto the stage with a viola d’ amore and eloquently began introducing the instrument in an audience-friendly fashion full of musicological detail. Then, she proceeded to play an eloquent and technically flawless rendition of Vivaldi’s D Major concerto for the instrument at A=415 pitch. I was immediately taken aback by her consummate control over the instrument and overall quality of her playing; she handled the instrument as well as she did with her modern violin. How could this be, when one could only professionally devote himself to either modern or period instruments, but not both? I was beginning to question what I had heard in music appreciation class ….. However, I was in for an even greater surprise after Pine had finished this piece and was about to perform Vivaldi. As I was awaiting for her to emerge from the backstage after changing instruments, I was totally convinced that she was going to walk out with a modern violin, but I was wrong again. 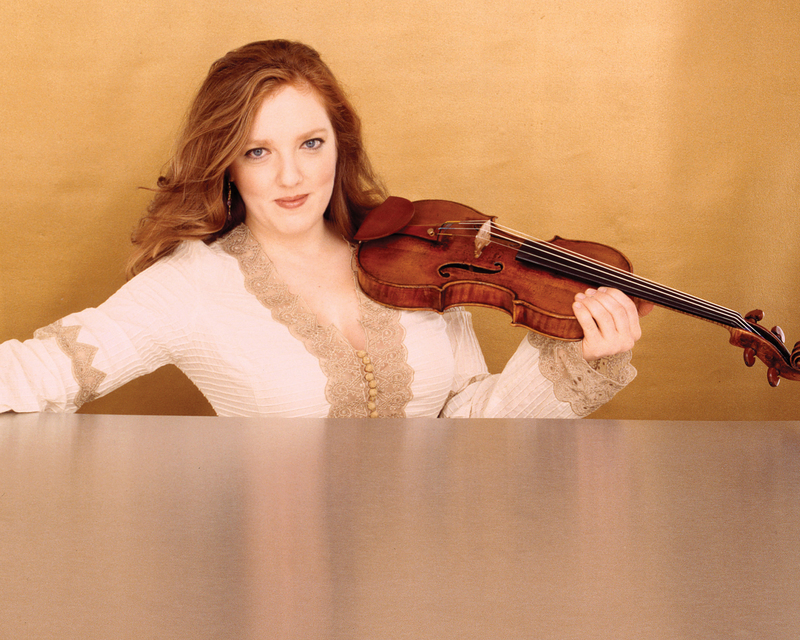 She emerged amid thunderous applause holding a Baroque violin — which, as she stated to the audience, had never been taken out of its original condition. I was taken aback by that! Then, she proceeded to perform an eloquent rendition of the hallowed piece in an Il Giardino Armonico-style fashion, demonstrating much passion and energy. I listened and watched in awe; this was unbelievable! 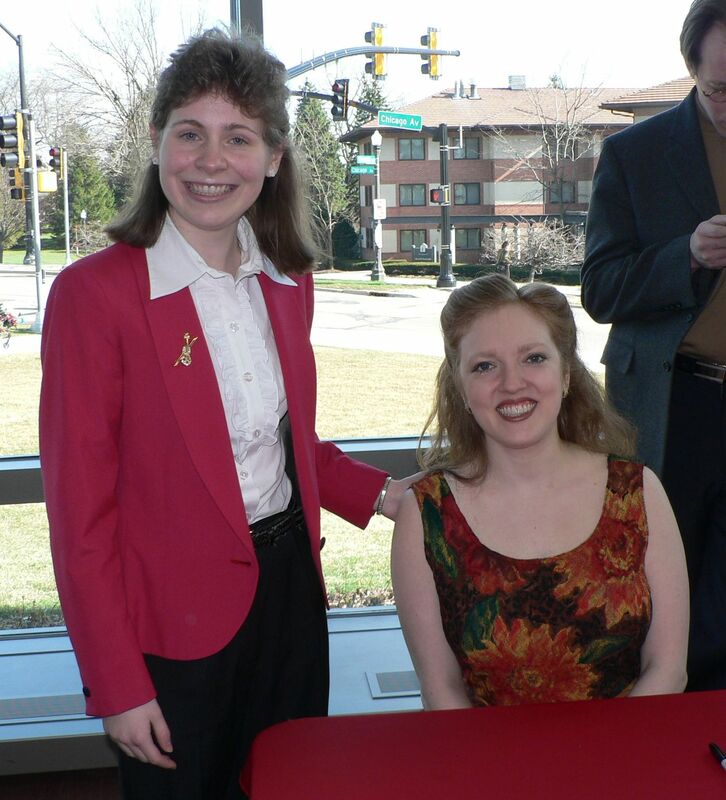 After the performance, I took some time in the lobby not only to get Pine’s autograph and a picture with her, but I also took the liberty to ask her some questions about Baroque violin, which she cheerfully answered with great detail. I first asked her if Baroque and modern violin were different, and she replied that they indeed were, elaborating on their differences (e.g. bow, articulation). I then told Pine that I myself was an experienced violinist/classical guitarist venturing into HIPP via recorder and wishing to eventually pursue Baroque violin; I asked for some tips. Pine then told me that I could eventually study with Gary Clarke, head of Baroque Band and one of Chicagoland’s premiere Baroque violinists. She even pulled aside a sheet of paper and wrote down his name for me; I graciously took it and thanked her. Now I was definitively determined to eventually get into Baroque violin. Following this experience, I was convinced that professional pursuit on both period and modern instruments was possible, yet it would be another year before I totally and permanently wiped this notion out of my mind thanks to Mrs. Benner and other HIPP individuals that I know. Still, Pine as a prominent violinist professionally pursuing both and — more potently — playing both with equal technical skill was enough to convince me that doing so was indeed possible. Deep down even before I saw Pine play had always known in my heart that this was possible, yet being constantly exposed to the myth ingrained contrary notions in my mind. Hence, as a result of this experience, I not only have a deeper appreciation of Pine as a wonderful violinist and humble individual, but I also have learned a critical life lesson: Do not take everything you initially hear from others — even experts — at face value until you yourself have investigated. I love your style and story telling, Kristina. You are a talented blogger. Please feel free to ask if you have any questions about online presence. You’ve got what it takes. I love Rachel’s playing, having also experienced her Bruch Scottish Fantasy. Your wonderful personal story brings her to life. Thanks for the telling and the message. Good stuff!